Many Canadian businesses do very well just serving the consumer market within the country. But, there are also a large number of companies that have much to offer the markets on an international level. These are companies that will want to learn more about exporting. Then the other side of the coin is those companies that want to bring in goods to meet the requirements of Canada’s needs. For them importing is going to be of interest. This site is dedicated to both importing and exporting. It is meant to create a clear understanding of the processes that are required for import and export. Canada is able to produce many goods that are much needed in other countries. Among these are mineral fuels, vehicles, machinery, gems and precious metals, wood, and electrical machinery. To support how well businesses can do with exporting there is a post here that highlights this. It shows an example of some of Canada’s top exporters and how well they did in 2018 for example. Many businesses may have some hesitation about getting involved in Canadian importing. To put some of the concerns to rest there is a great post here. It acts as a starter guide that outlines all the steps that are necessary for importing. Similar steps are required for exporting to other countries but may have additional responsibilities and regulations to follow. Most know that if they are going to bring something into Canada, they will have to pay duties on this. This commonly takes place with shoppers who visit the United States and bring goods back. Or it can apply to goods that are mailed into the country. The post we have here about this focuses on the duties that apply to companies that want to import goods. It gives an overview of how these duties are calculated. Exporting is just as important for the Canadian economy as what importing is. There are a few important posts here that cover exporting with using the US as an example. 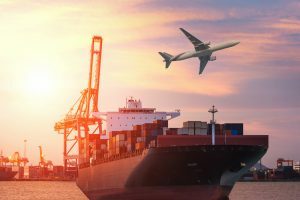 Then for those who want more information about exporting to Europe, there is a great post here that explains the basics for doing this. This site is not meant to be the only resource for importing and exporting for Canada. This page is intended to be a starting point with the hopes that businesses will realise that the processes used for these are not all that difficult. It is a matter of learning the rules and regulations and then applying them.